Our eyes lack the sufficient angular resolution to recognize the object. The object is far enough and obscured by Earth’s curvature. Some flat-Earthers like to show that a previously unseen distant object can be brought into view using infrared vision. They would take that as ‘evidence’ of the non-existence of Earth’s curvature. They are wrong. Infrared vision can reveal hidden objects caused by visibility limitations, but not ones obscured by Earth’s curvature. Using infrared vision might alleviate some visibility limitations. Infrared vision can see through mist or fog, and reveal an object previously unseen using our normal vision. 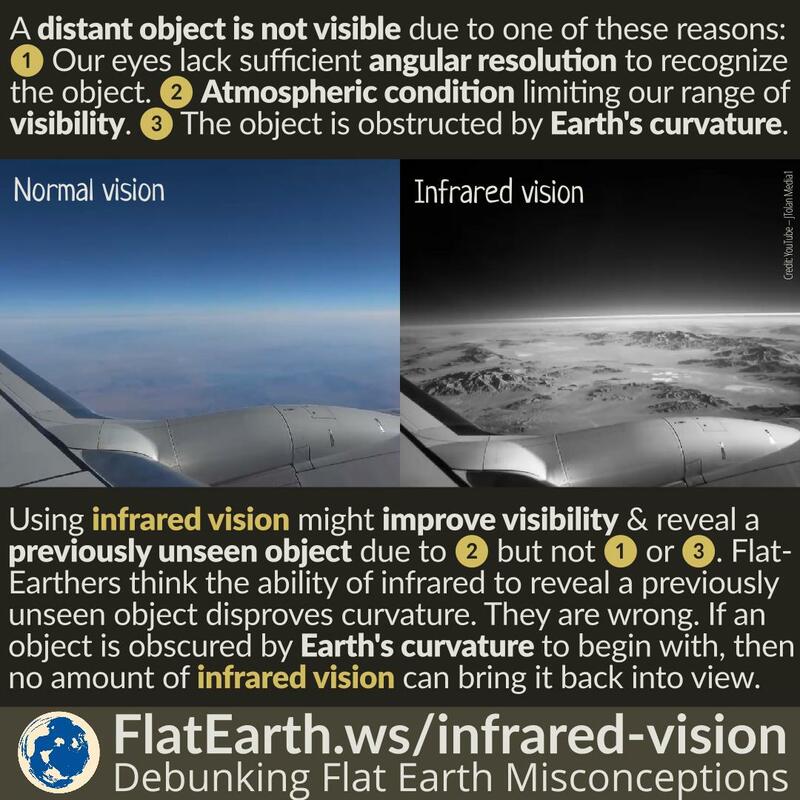 But if Earth’s curvature already obscures the object, then no amount of infrared vision can bring it back into view. It is the other way around. Infrared is refracted less than visible light. Due to this reason, infrared vision might actually ‘hide’ an object previously seen using our normal vision.